It is my pleasure as Convenor to invite you to join us in Queenstown in 2019 for what will be a truly unique conference. The New Zealand ASM is joining this year with the Annual Queenstown Update in Anaesthesia (AQUA) to provide a stimulating conference in one of the world’s alpine wonderlands. The theme is “Aspirations into Action” and the organising committee have put together an aspirational and wide ranging program with an exceptionally fine array of local and international speakers. As well as the usual AQUA update sessions on a number of topics, you can expect to be challenged to ensure your practice is the best it can be. With Professor Mary Dixon-Woods we have a true champion of quality improvement from Cambridge. Professor Ed Mariano from Stanford is a world leader in regional anaesthesia, as well as being at the forefront of anaesthesia on social media. Dr Andy Klein from Papworth is the Editor-in Chief of Anaesthesia, has an impressive research portfolio and is always a top quality, engaging speaker. A/Prof Alicia Dennis from Melbourne is a leader in the care of the critically ill obstetric patient, and has serious research credentials as an Australian NHMRC Fellow. Professor Simon Mitchell from Auckland is a NZ legend in research and the demanding world of technical dive medicine, and will be sharing more background about that cave rescue. And speaking of local legends, Professor Alan Merry will be providing an inspiring and aspirational opening address to set the tone for the conference. August is generally regarded as the best time to be in Queenstown, and the conference falls right at the absolute peak of the season. Aside from enjoying the Queenstown nightlife and local ski fields, there will be a fantastic social program to let you experience the best of the Southern Alps. Enjoy the gala dinner overlooking the lights of Queenstown, Lake Wakatipu and the perfectly named Remarkables, then join us for an evening of night skiing with one of the best BBQ’s you will ever have, up Coronet Peak. We are limited in the number of attendees we can accommodate, and I urge you to book early and secure your place in what will most definitely be a conference to remember. We have an impressive list of invited and local faculty – click on the link below to view our speakers. Visit frequently to receive the latest program information, or express interest to receive the latest updates. Online Registration is now open. Click on the link below for registration information and a link to register. 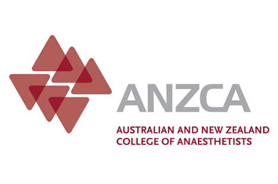 With the theme “Aspirations into Action,” the 2019 New Zealand Anaesthesia ASM/Annual Queenstown Update in Anaesthesia (AQUA) is promising to challenge and inspire….